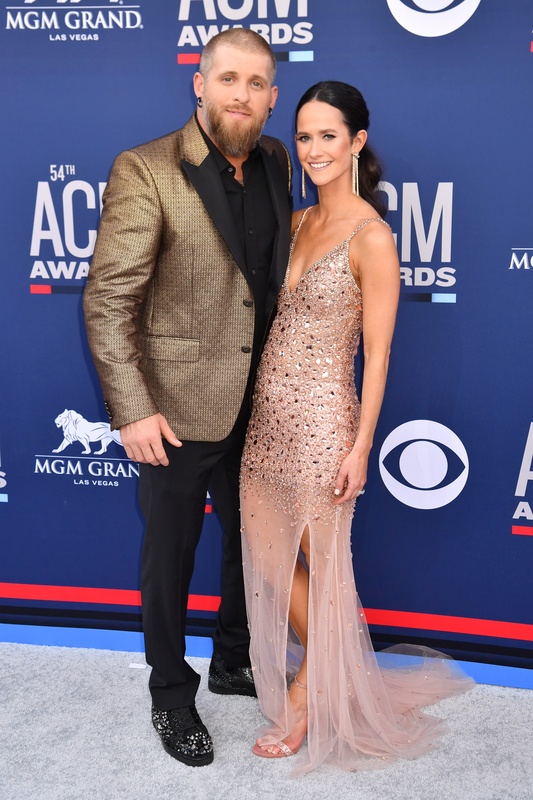 See pics of all the glitz and glam! 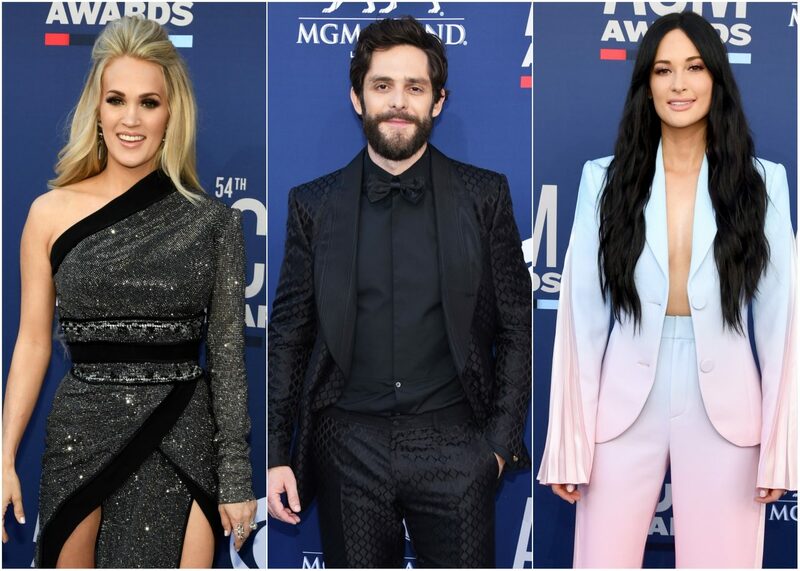 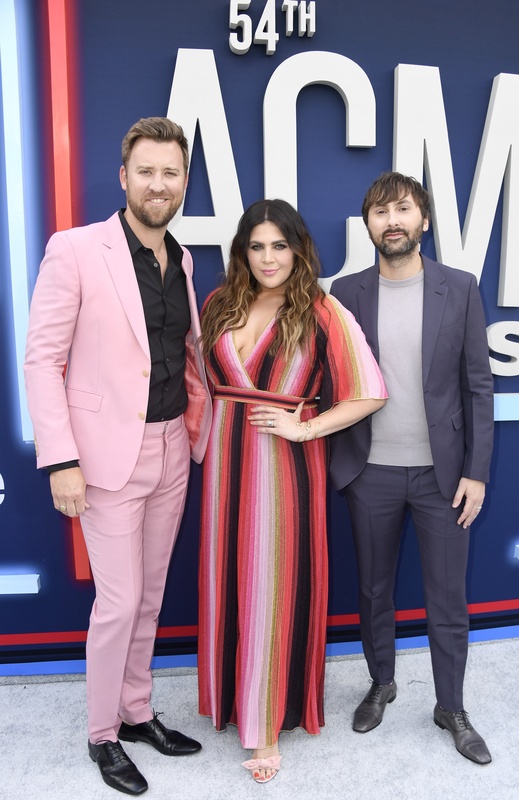 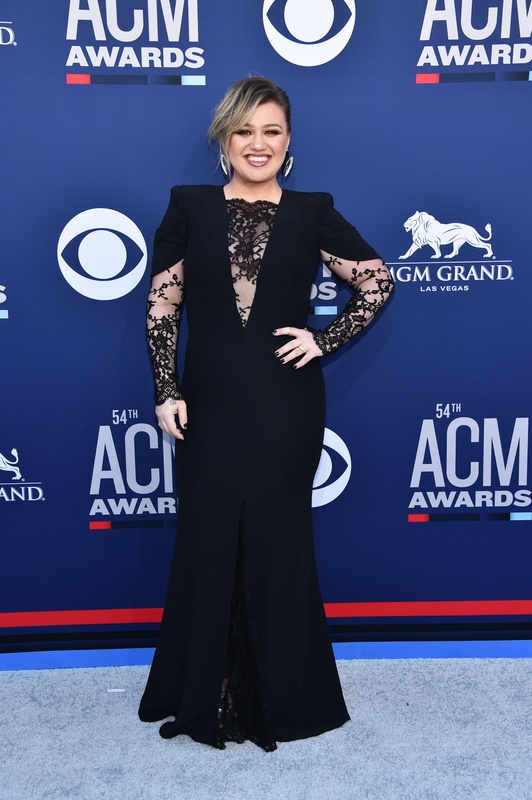 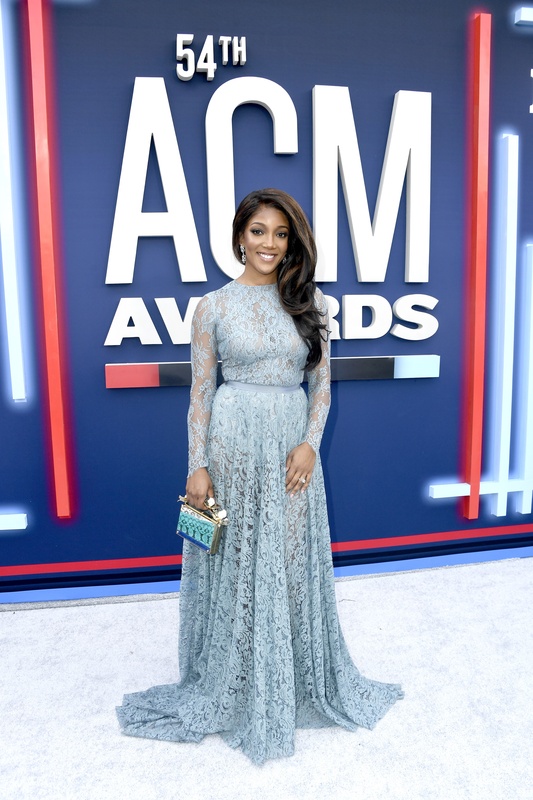 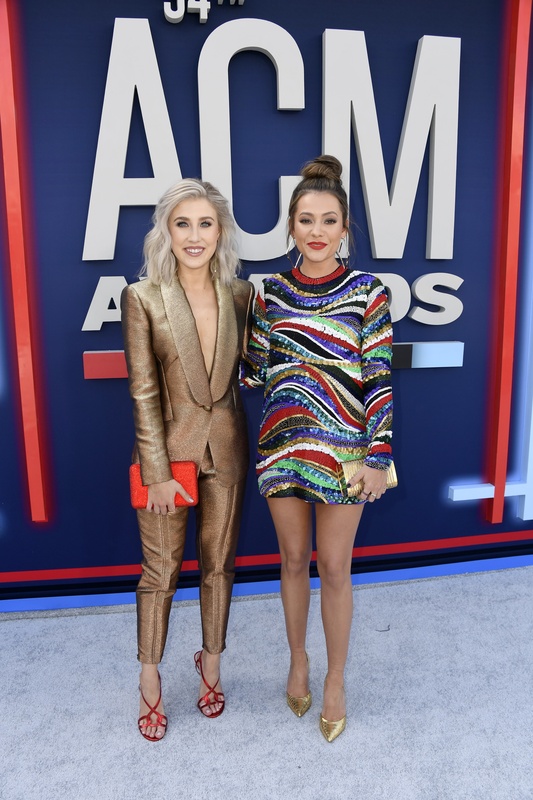 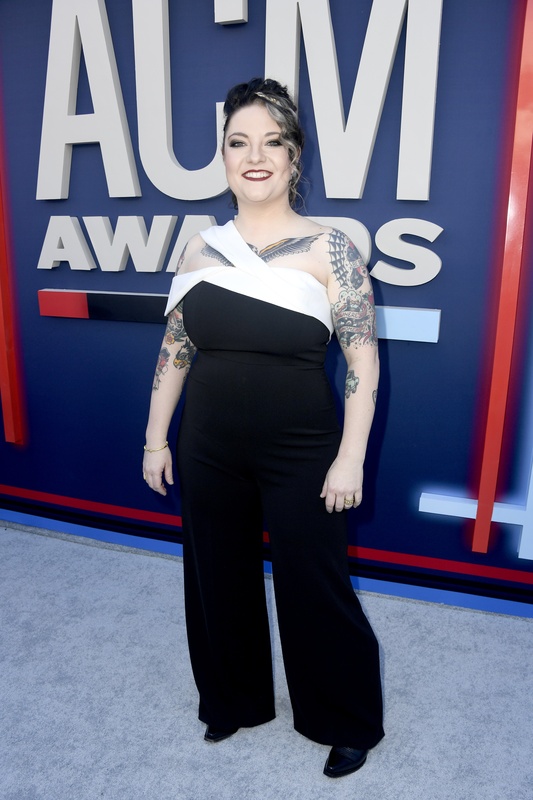 Spring has sprung on the red carpet at the 2019 ACM Awards as Carrie Underwood, Kacey Musgraves, Maren Morris, Miranda Lambert and many more stepped out in their Sunday best for the 54th annual awards show. 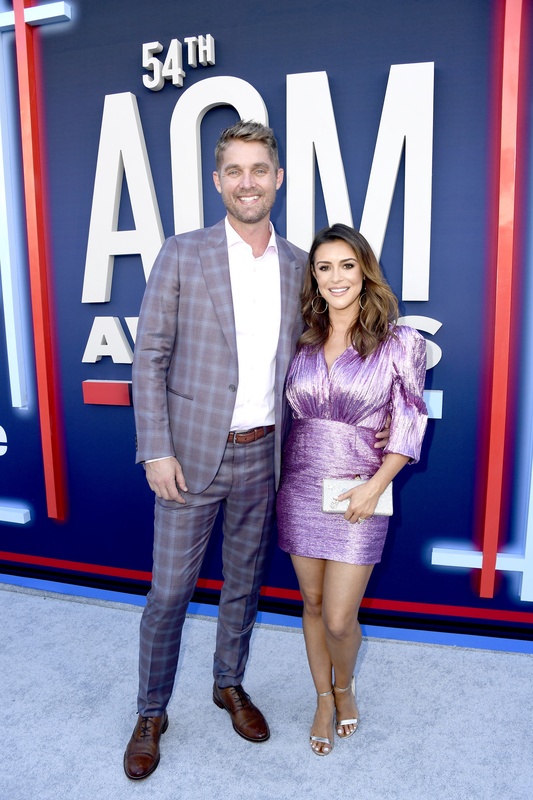 While Musgraves was looking festive, draped in a beautiful multi-colored pastel suit, and Morris donned a striking lavender dress that featured a train flowing down the carpet, all eyes were also on the couples (and their bling). 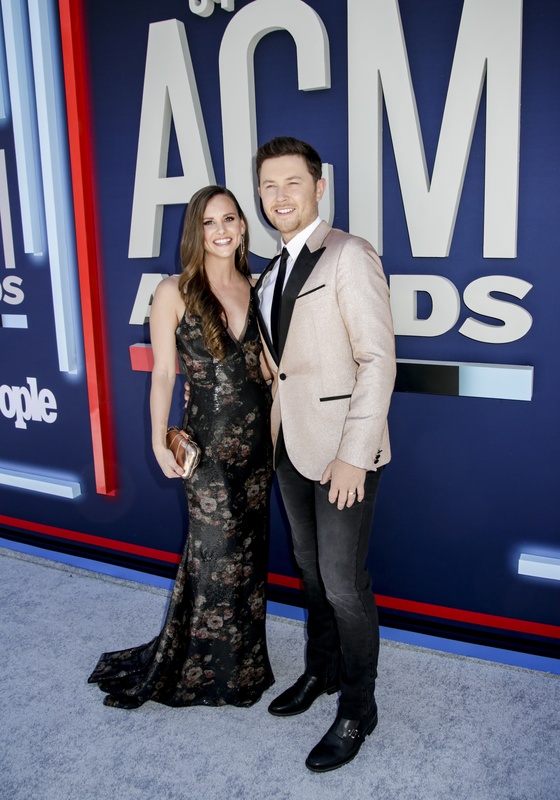 Lambert was radiant in a lime green gown, while her husband Brendan McLoughlin was sharp in a classic tux. 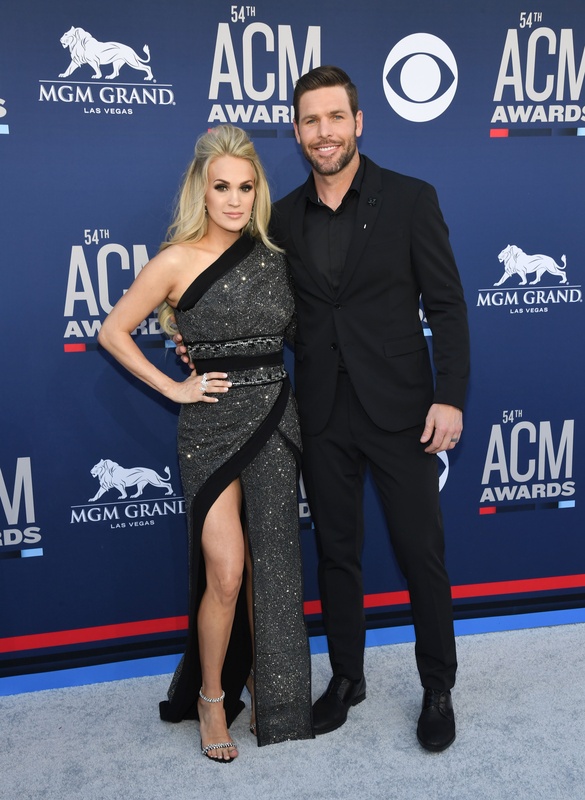 Underwood was looking classy in a shimmering silver and black dress, as husband Mike Fisher was equally as suave in his tux. 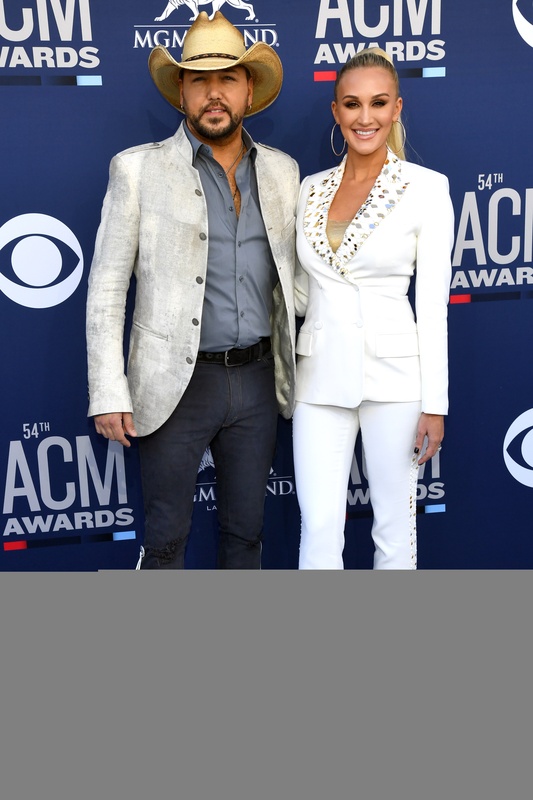 Jason Aldean and wife Brittany made their way down the carpet looking sophisticated, Aldean in a white suit coat and tassled jeans, while Brittany rocked an all white pant suit. 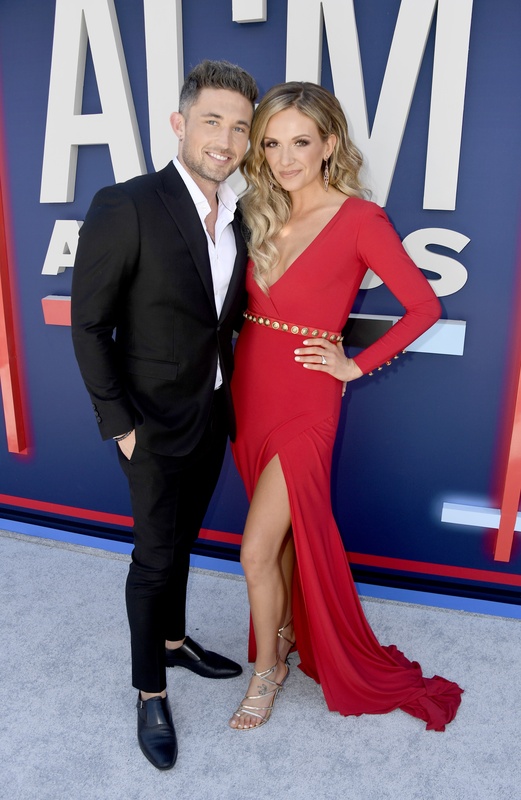 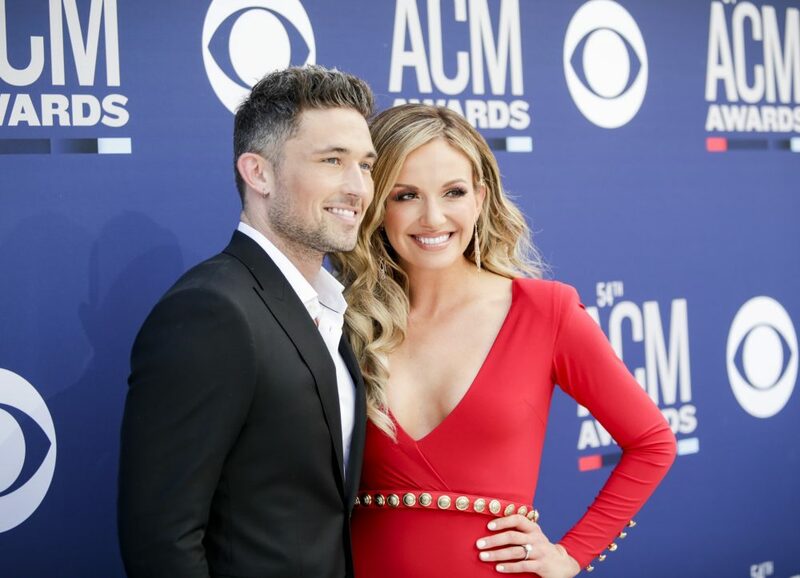 Michael Ray and Carly Pearce were glowing as they made their way down the carpet arm in arm, Ray in a crisp black suit as he escorted fiancee Pearce, who looked beautiful in a bold red gown while flashing her diamond ring at the cameras. 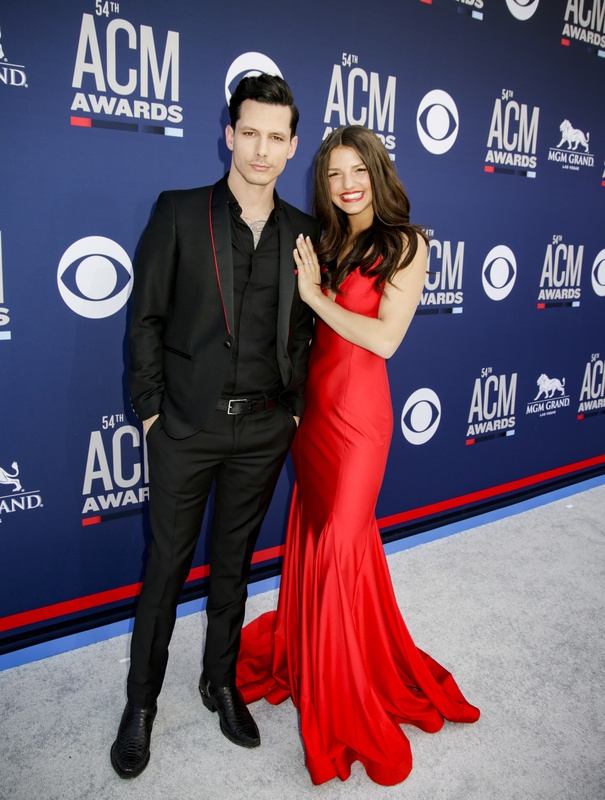 Newly engaged couple Devin Dawson and Leah Sykes also appeared on the carpet, Sykes showing off her gorgeous ring in a stunning red dress, with Dawson donning a black and red suit to match. 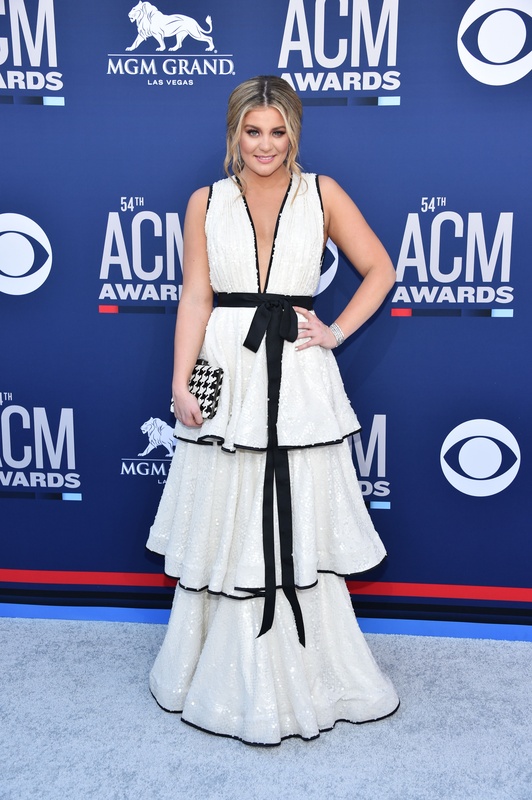 Rising stars like Lauren Alaina, Jimmie Allen and Danielle Bradbery also were dressed to impress. 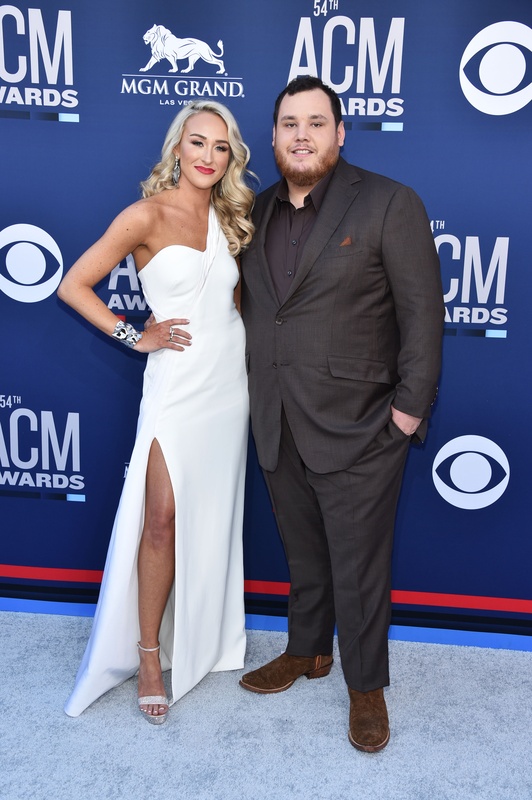 Gabi McCreery and Scott McCreery attends the 54TH ACADEMY OF COUNTRY MUSIC AWARDS, to broadcast LIVE from MGM Grand Garden Arena in Las Vegas Sunday, April 7, 2019 (8:00-11:00 PM, ET/delayed PT) on the CBS Television Network. 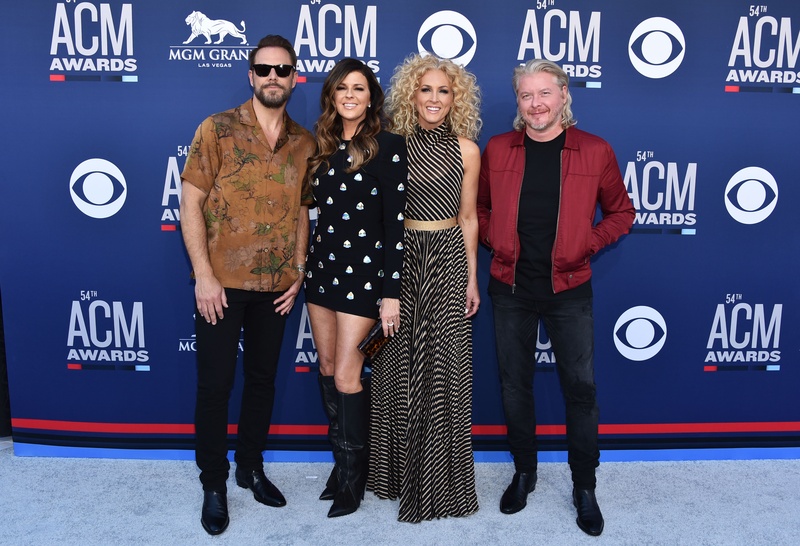 Photo: Francis Specker/CBS ÃÂ©2019 CBS Broadcasting, Inc. All Rights Reserved. 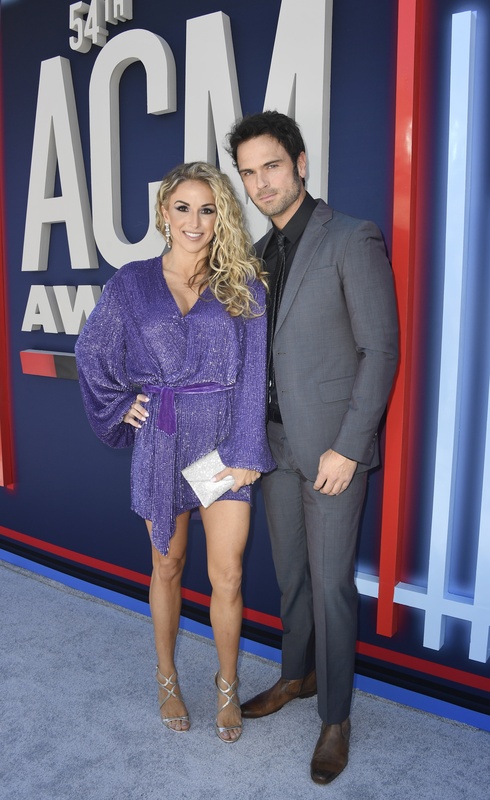 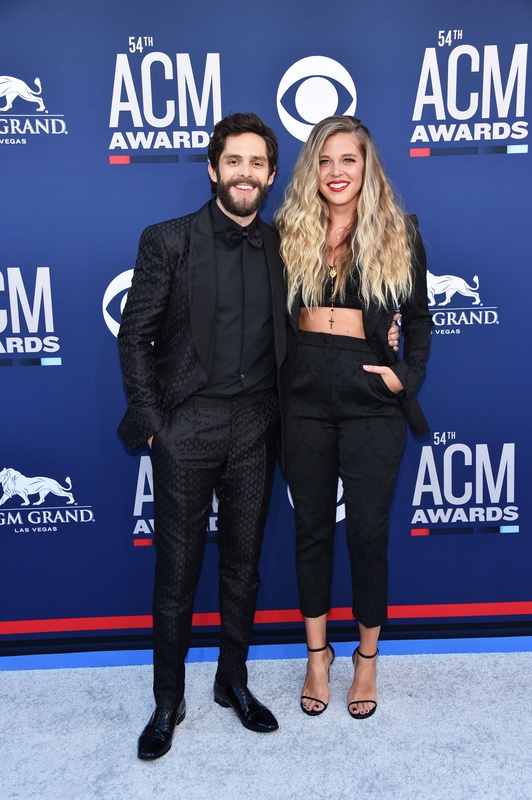 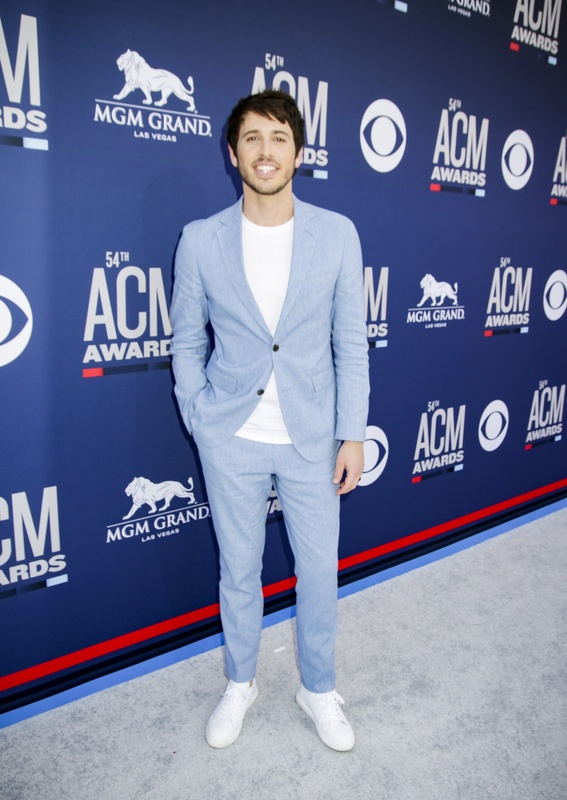 Morgan Evans attends the 54TH ACADEMY OF COUNTRY MUSIC AWARDS, to broadcast LIVE from MGM Grand Garden Arena in Las Vegas Sunday, April 7, 2019 (8:00-11:00 PM, ET/delayed PT) on the CBS Television Network. 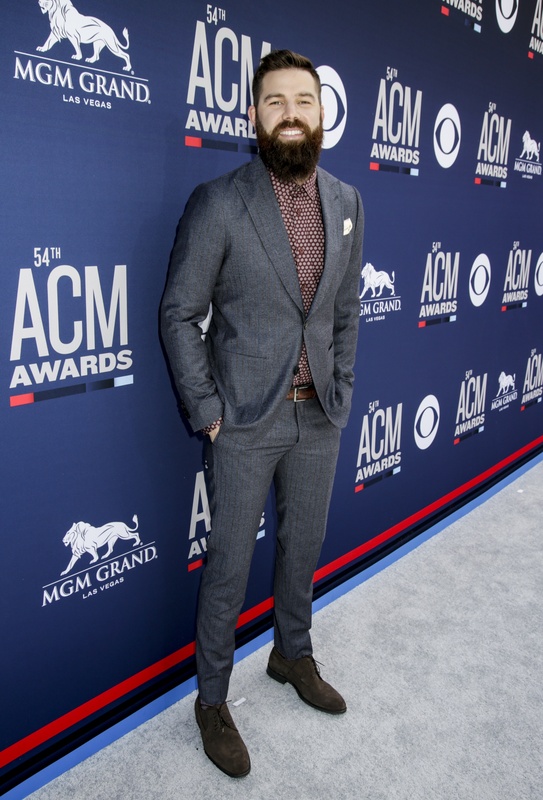 Photo: Francis Specker/CBS ÃÂ©2019 CBS Broadcasting, Inc. All Rights Reserved. 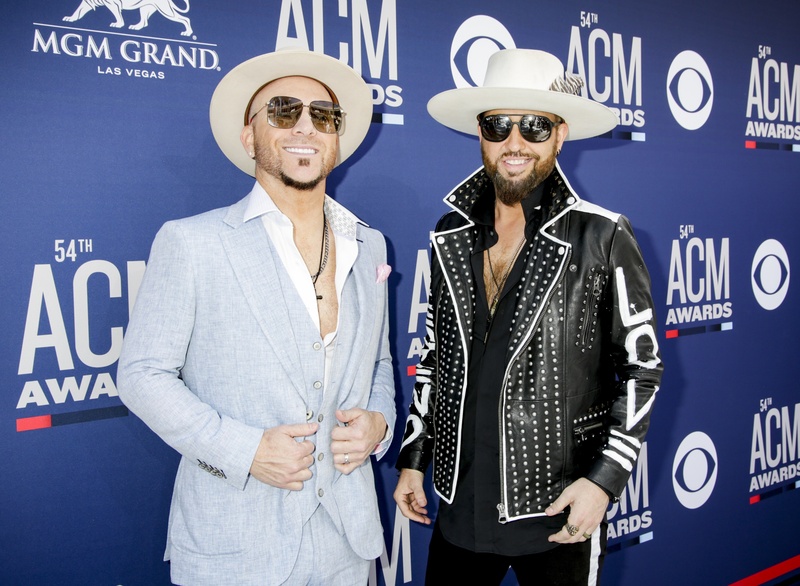 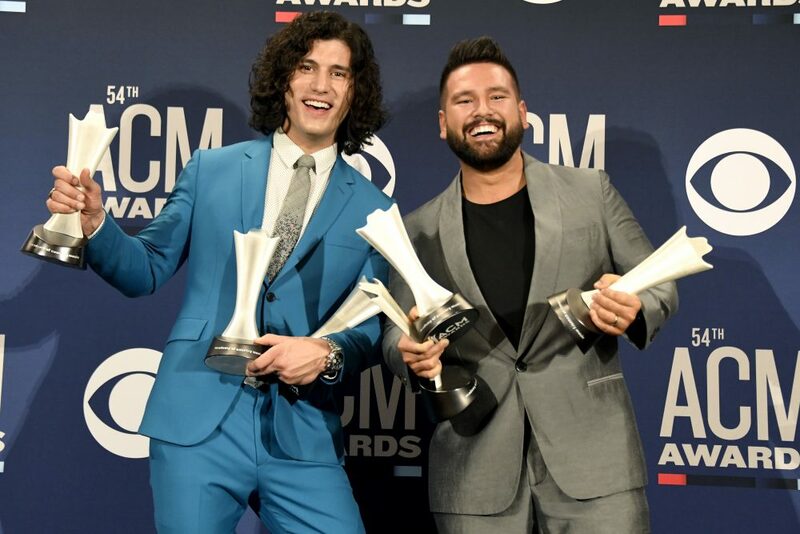 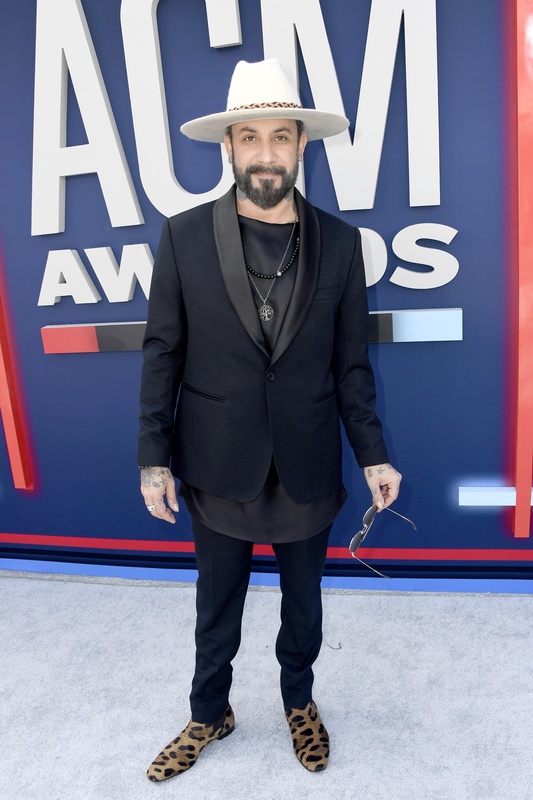 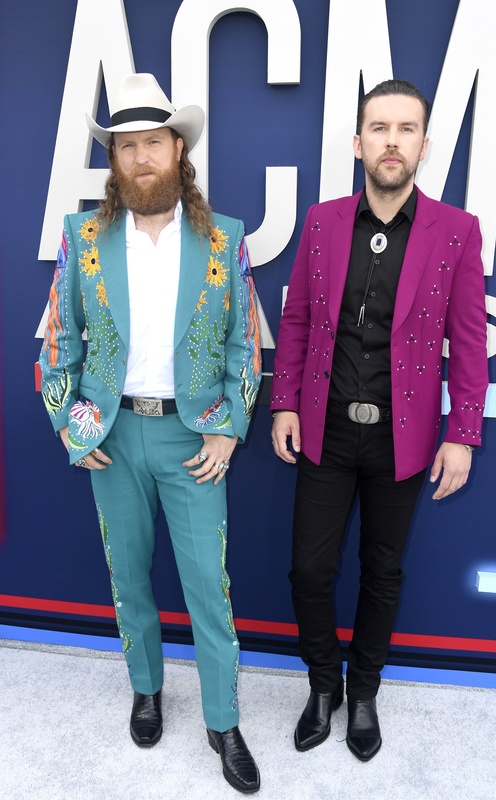 Country music duo Locash attends the 54TH ACADEMY OF COUNTRY MUSIC AWARDS, to broadcast LIVE from MGM Grand Garden Arena in Las Vegas Sunday, April 7, 2019 (8:00-11:00 PM, ET/delayed PT) on the CBS Television Network. 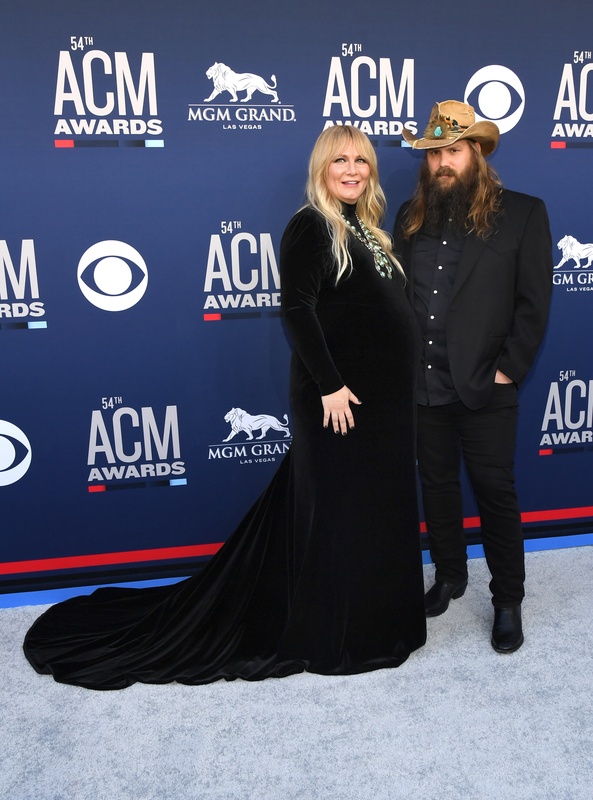 Photo: Francis Specker/CBS ÃÂ©2019 CBS Broadcasting, Inc. All Rights Reserved. 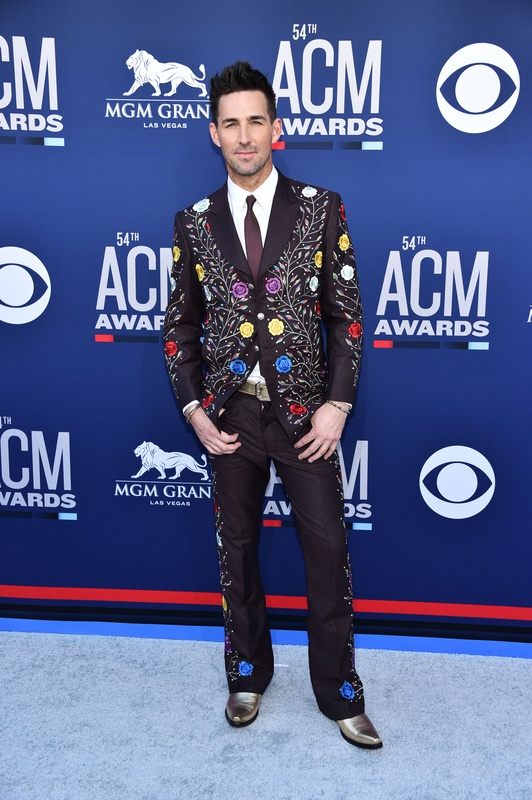 Jordan Davis attends the 54TH ACADEMY OF COUNTRY MUSIC AWARDS, to broadcast LIVE from MGM Grand Garden Arena in Las Vegas Sunday, April 7, 2019 (8:00-11:00 PM, ET/delayed PT) on the CBS Television Network. 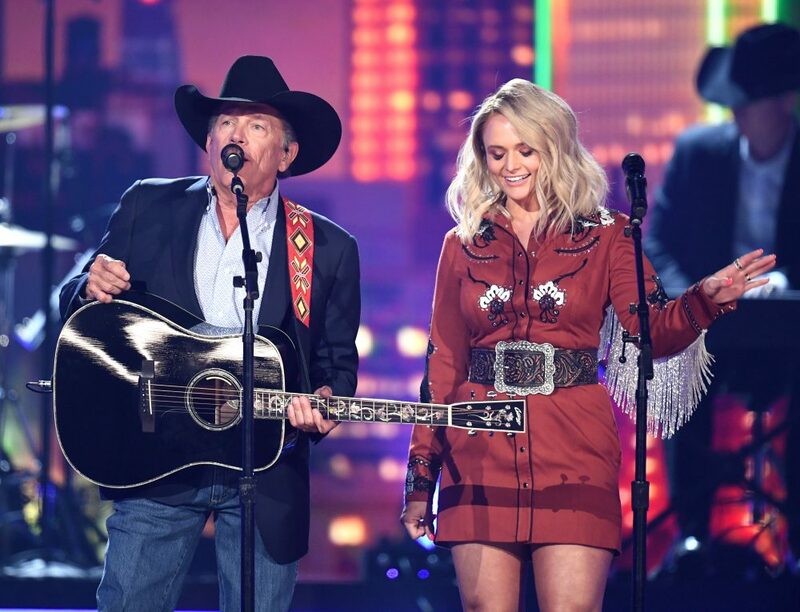 Photo: Francis Specker/CBS ÃÂ©2019 CBS Broadcasting, Inc. All Rights Reserved. 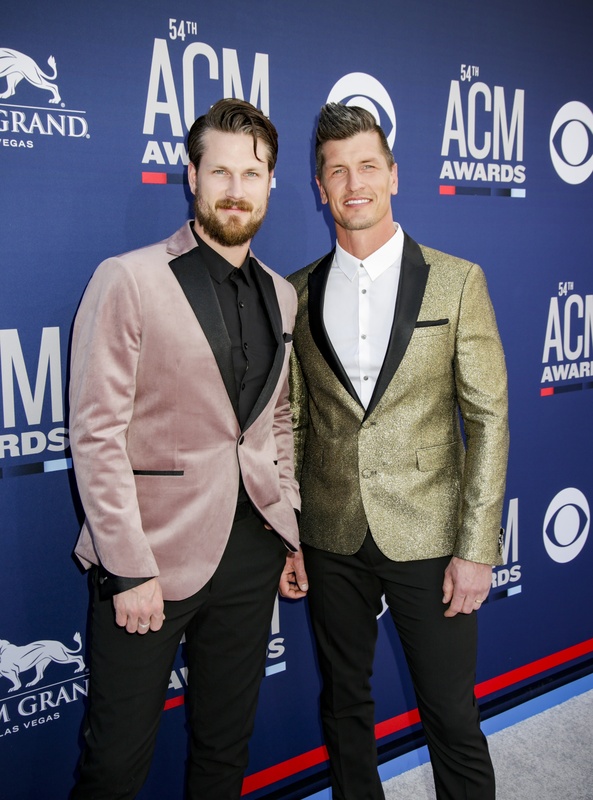 Canadian country music duo High Valley attends the 54TH ACADEMY OF COUNTRY MUSIC AWARDS, to broadcast LIVE from MGM Grand Garden Arena in Las Vegas Sunday, April 7, 2019 (8:00-11:00 PM, ET/delayed PT) on the CBS Television Network. 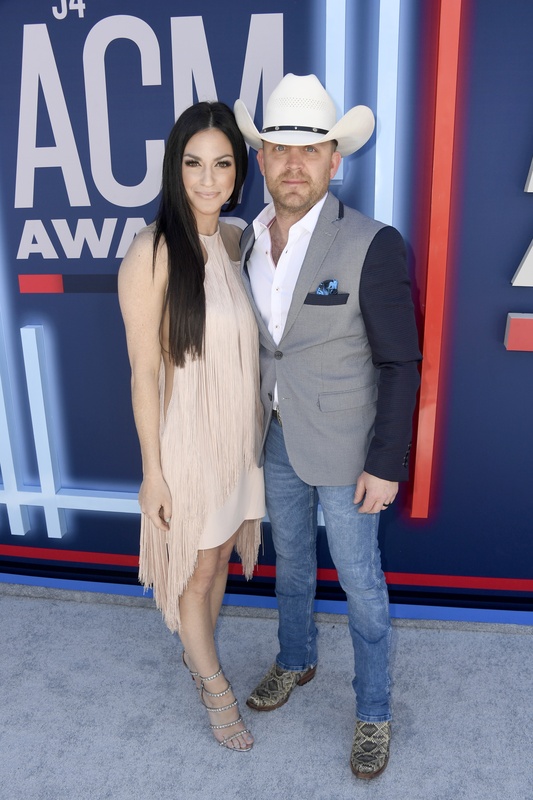 Photo: Francis Specker/CBS ÃÂ©2019 CBS Broadcasting, Inc. All Rights Reserved. 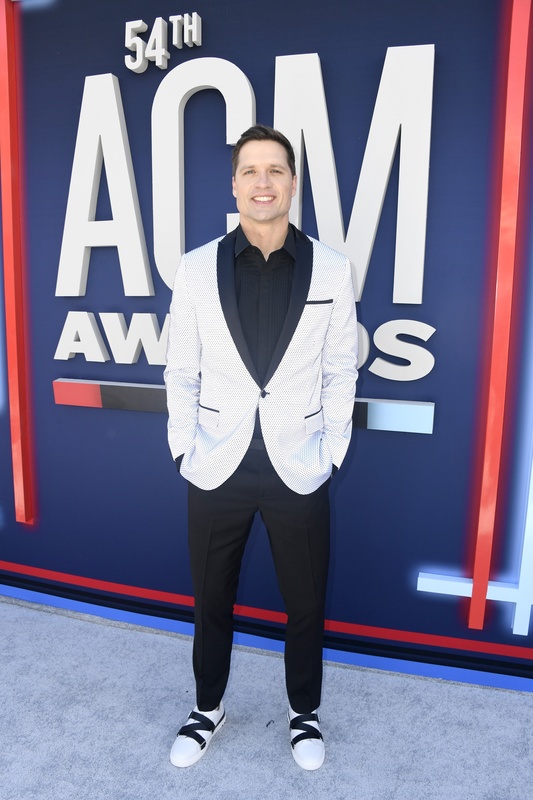 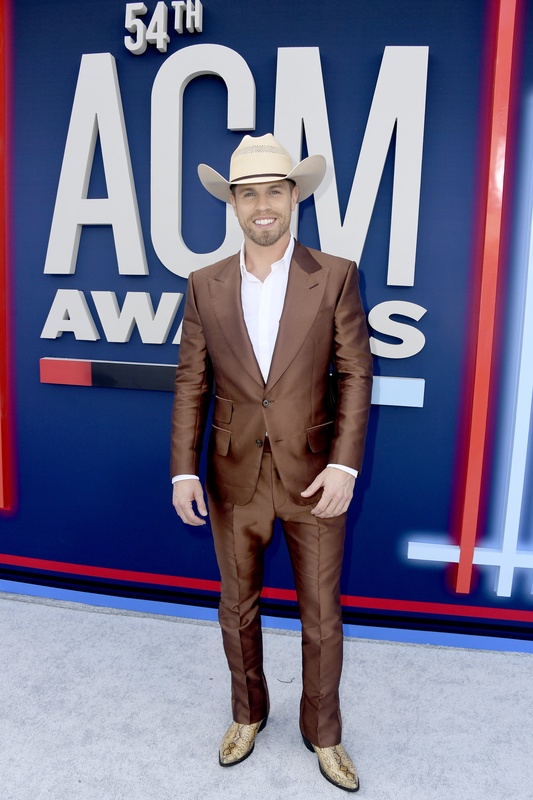 Granger Smith with guest attends the 54TH ACADEMY OF COUNTRY MUSIC AWARDS, to broadcast LIVE from MGM Grand Garden Arena in Las Vegas Sunday, April 7, 2019 (8:00-11:00 PM, ET/delayed PT) on the CBS Television Network. 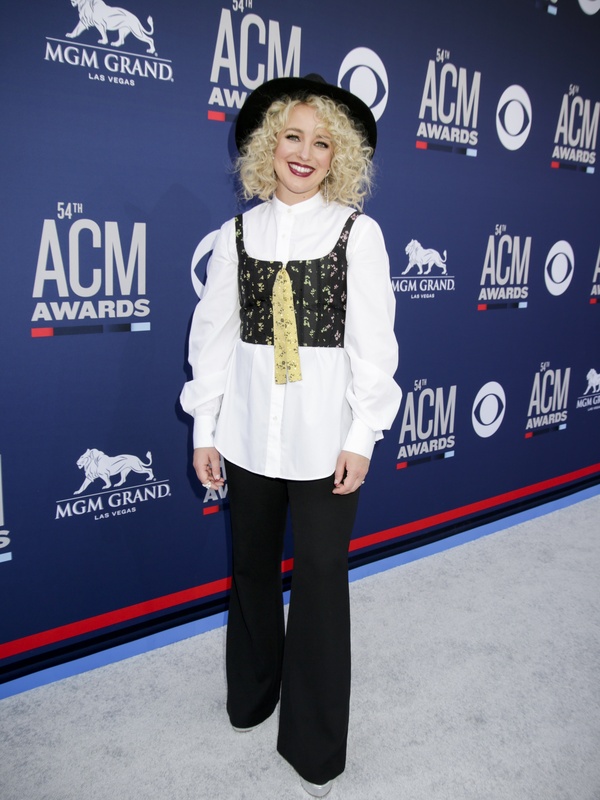 Photo: Francis Specker/CBS ÃÂ©2019 CBS Broadcasting, Inc. All Rights Reserved. 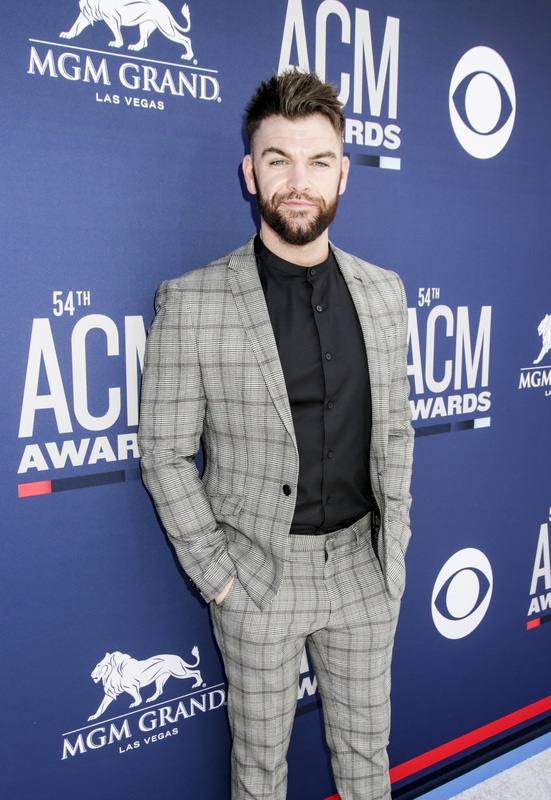 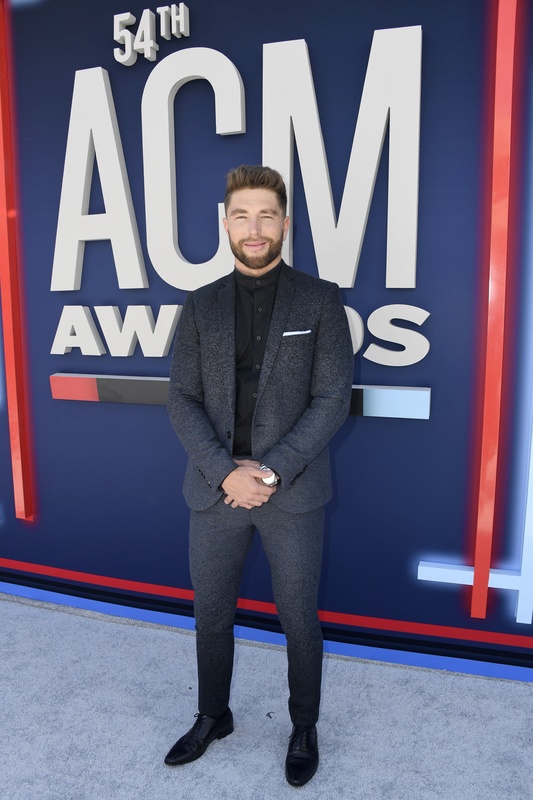 Dylan Scott attends the 54TH ACADEMY OF COUNTRY MUSIC AWARDS, to broadcast LIVE from MGM Grand Garden Arena in Las Vegas Sunday, April 7, 2019 (8:00-11:00 PM, ET/delayed PT) on the CBS Television Network. 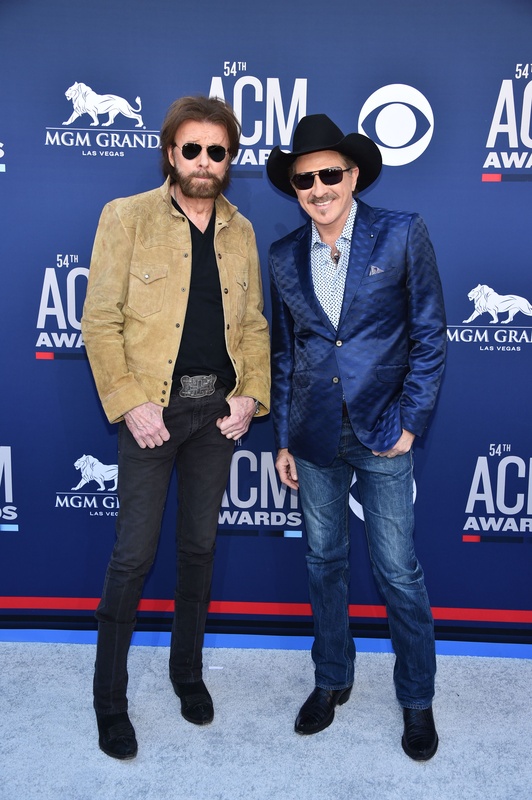 Photo: Francis Specker/CBS ÃÂ©2019 CBS Broadcasting, Inc. All Rights Reserved. 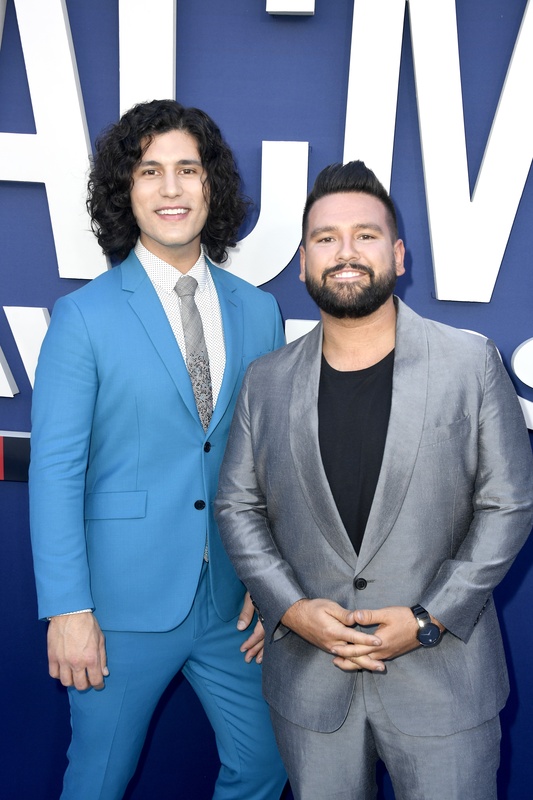 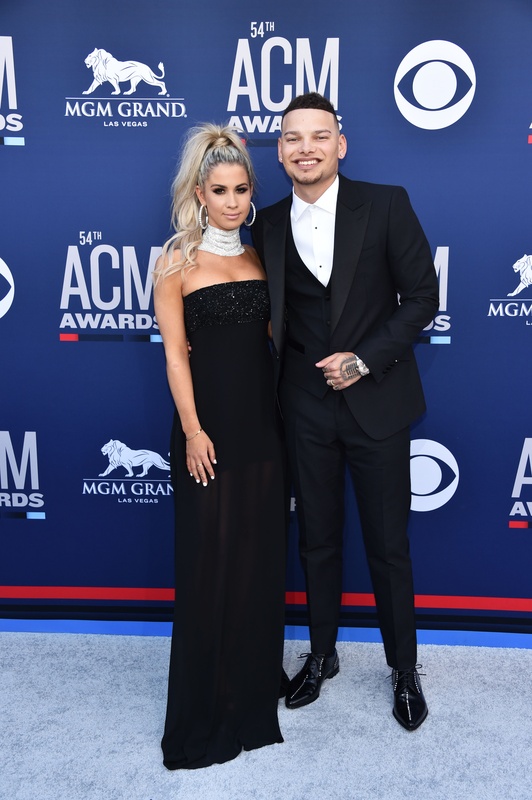 Devin Dawson and Leah Sykes attends the 54TH ACADEMY OF COUNTRY MUSIC AWARDS, to broadcast LIVE from MGM Grand Garden Arena in Las Vegas Sunday, April 7, 2019 (8:00-11:00 PM, ET/delayed PT) on the CBS Television Network. 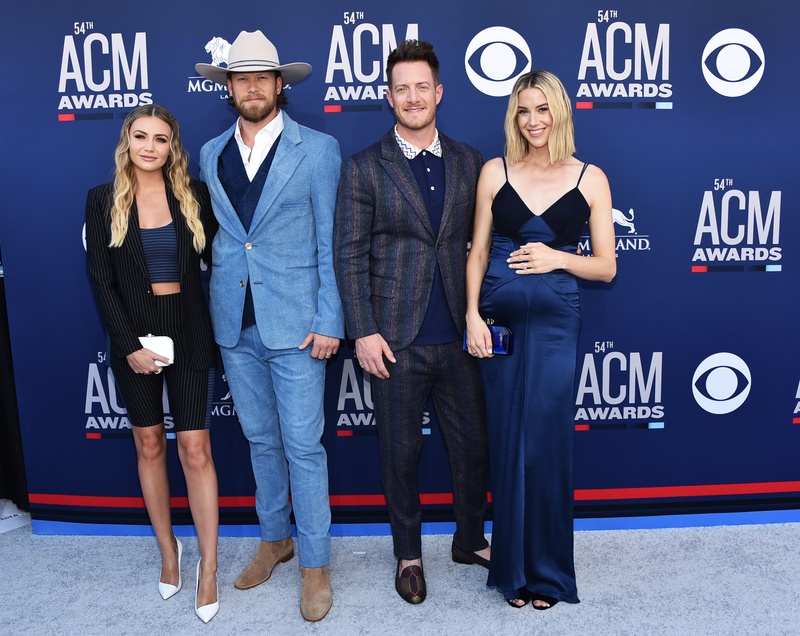 Photo: Francis Specker/CBS ÃÂ©2019 CBS Broadcasting, Inc. All Rights Reserved. 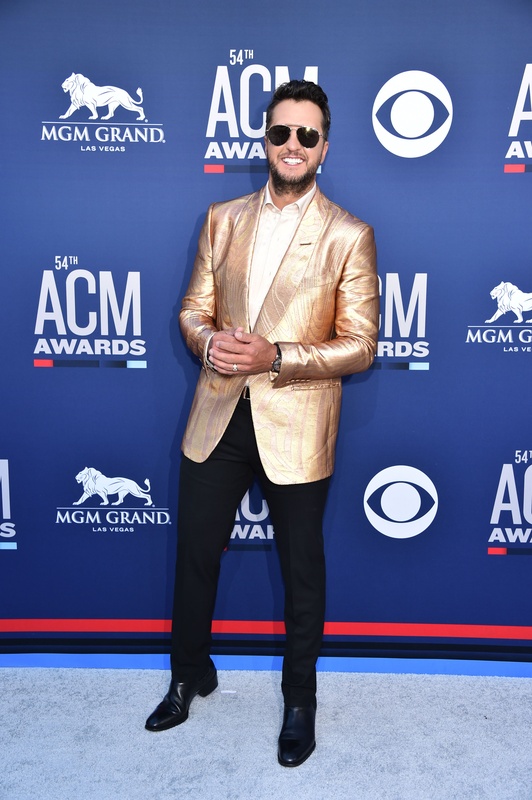 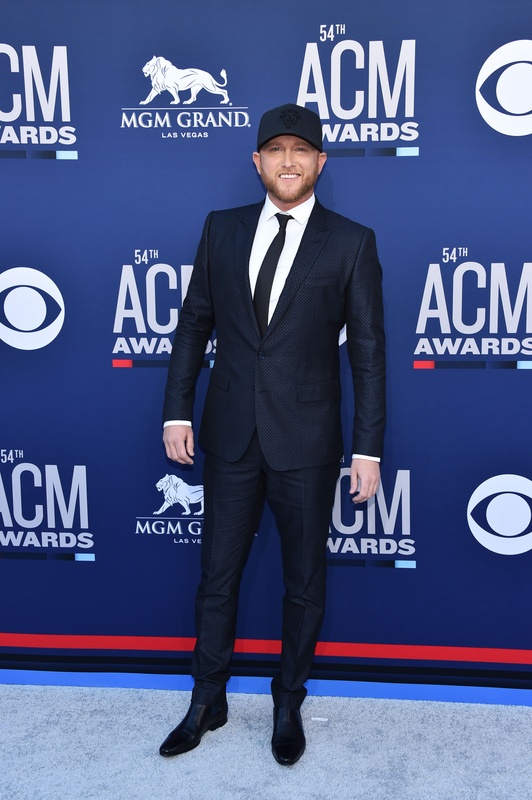 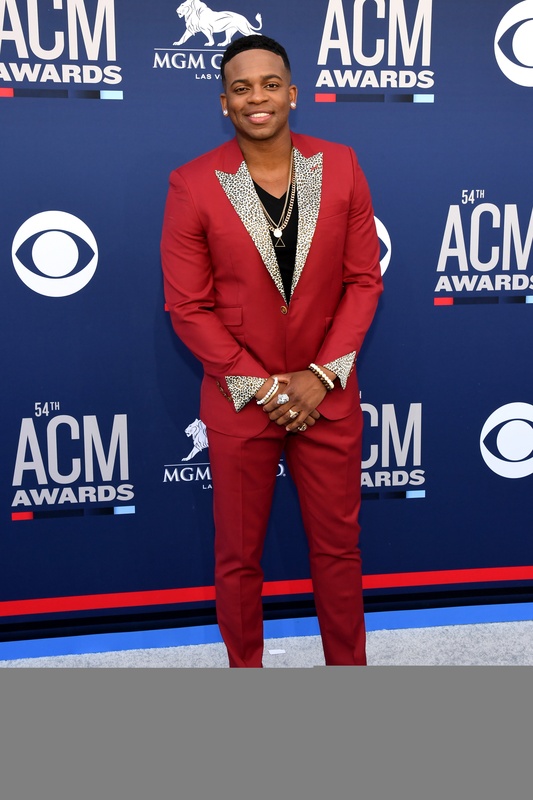 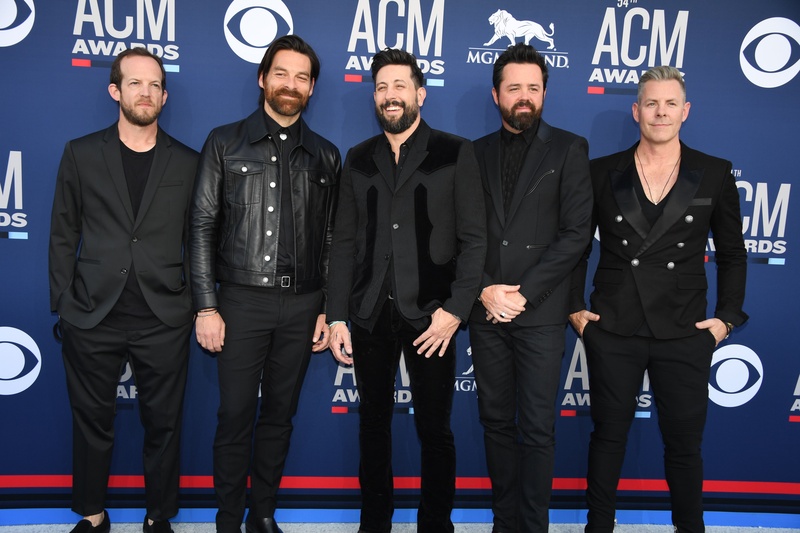 Cam attends the 54TH ACADEMY OF COUNTRY MUSIC AWARDS, to broadcast LIVE from MGM Grand Garden Arena in Las Vegas Sunday, April 7, 2019 (8:00-11:00 PM, ET/delayed PT) on the CBS Television Network. 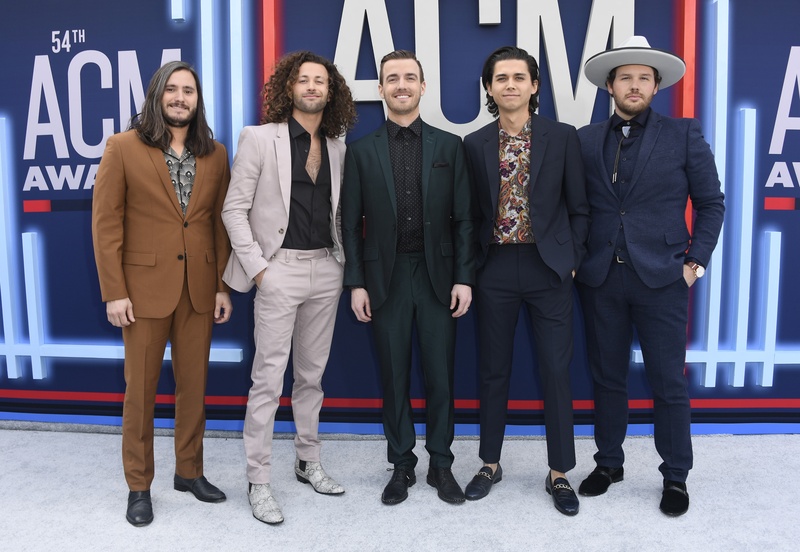 Photo: Francis Specker/CBS 2019 CBS Broadcasting, Inc. All Rights Reserved.